AppArmor is a Mandatory Access Control (MAC) and security extension that provides a variety of security policies for Linux kernel. It is an alternative application to SELinux and included with Ubuntu. Most of the time you don’t need it to configure a secure system, and it usually causes more problems because some service wasn’t working as expected. 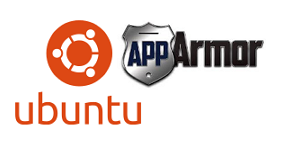 Below steps will show you how to disable and remove AppArmor on Ubuntu 14.04. 4 profiles are in enforce mode. 1 processes are in enforce mode. 0 upgraded, 0 newly installed, 2 to remove and 119 not upgraded. After this operation, 1,467 kB disk space will be freed. All profile caches have been cleared, but no profiles have been unloaded. unconfined, which can lead to unexpected situations. Note : this steps works on ubuntu 14.04 minimal installation without GUI.